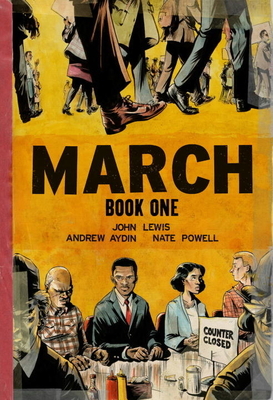 Congressman John Lewis takes on the Civil Rights Movement in this three volume graphic novel trilogy. Told with passion, in an authoritative voice, the gritty black and white art brings forth the race trials of our nation, laying them bare in a visually stunning tale. This series makes a time in our history available to a whole new generation.